Greta Pauline Chapman, age 84, of Mt. Sterling, Illinois passed away at 3:40 a.m. Tuesday, November 20, 2018 at St. Vincent’s Home in Quincy, Illinois. She was born June 1, 1934 in Ripley, Illinois the daughter of Paul Melvin “Mib” and Helen Grace Vincent Hughes. She married John Franklin Chapman on February 6, 1950 in Keokuk, Iowa and he preceded her in death on September 28, 1987. Mrs. Chapman served as a cafeteria worker for Brown County Community Unit School District No. 1 for several years and had also worked for Mt. Sterling Veterinary Clinic and Excel in Beardstown before retiring from Brown County Mental Health. She attended Ripley schools and was of the Christian faith. 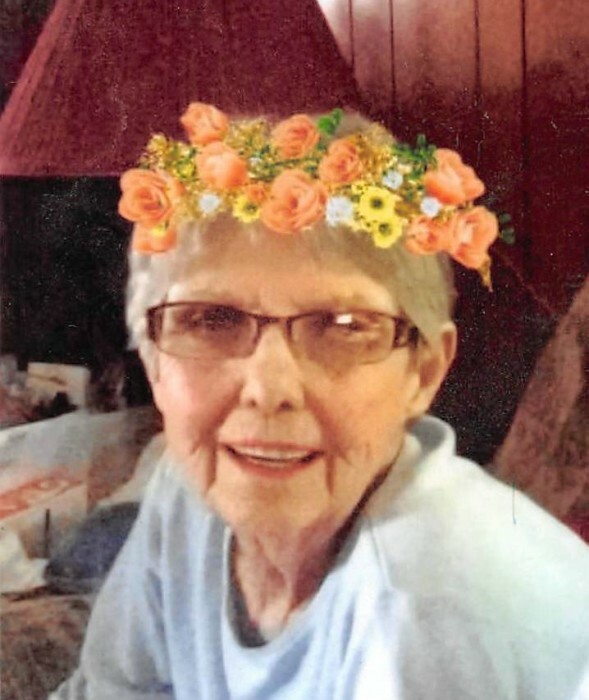 Greta always enjoyed playing cards and bowling, but her greatest joy was spending time with her granddaughters and attending their many activities. Survivors include 1 son J. A. Chapman (Christine) of Mt. Sterling. 3 granddaughters Alicia Nicole Dodds (Garrick), Evelyn Kay Chapman and Paula Christine Chapman (Fiancé, Josh Wren) all of Mt. Sterling. 1 sister-in-law Betty Chapman (Gary) of Quincy also survives along with several nieces and nephews. She was preceded in death by her parents and 1 son John Michael Chapman. Funeral services will be held at 11:00 a.m. Friday, November 23, 2018 in the Hendricker Funeral Home in Mt. Sterling with Daryl Vermillion officiating. Burial will follow in the Ripley Cemetery in Ripley, Illinois. Visitation will be one hour prior to services on Friday at the funeral home.